A comprehensive guide to debit card payment processing. Debit card processing permits a merchant to accept a consumer debit card linked to that consumer’s checking or savings account. Debit cards and ACH transactions currently account for approximately 65 percent of all payment transactions, so it makes good business sense to provide your customers with the benefits of debit card processing. TransNational Payments works with merchants to get that transaction to the consumer’s card-issuing bank for approval of the purchase or bill payment transaction. What is a Debit Card Payment? Most consumers share that carrying a debit card is a simple and convenient alternative payment method to cash, checks and credit cards. While debit cards today look identical to credit cards, there is a big difference. The primary difference is that debit cards are linked directly to the cardholder’s bank account and an automatic deduction is made for each purchase made. Another important difference between credit cards and debit cards is that debit cards typically come in two different types — PIN debit cards and signature debit cards. PIN debit cards require that the cardholder enter a personal identification number at the point-of-sale to complete the transaction. Signature debit cards, like credit cards, require the cardholder’s signature on the sales receipt to validate the purchase. We make debit card processing simple and cost-effective. Like credit cards, debit card authorization occurs through the merchant terminal or payment acceptance device, like a payment gateway. The terminal reads the magnetic strip on the back of the card and transmits the data to a card-processing network, like Visa or MasterCard. The network ensures the pieces of transaction data are correctly formatted. Then, it performs a fraud analysis and forwards the information to the bank that issued the debit card. The issuer then validates that the card hasn’t been reported as stolen or lost, confirms whether funds are available in the cardholder’s account and then notifies the merchant, again through the network, whether the transaction has been approved. At the end of the day or several times throughout the day, the merchant sends all the authorized transactions back to the network, which splits up and recompiles those transactions and then sends them back to the issuers. In turn, the issuers post the transactions to their customers’ accounts. Debit cards are a convenient alternative to carrying cash or a check book and they have become the first payment choice for many consumers. Debit cards can be used to shop online or in brick-and-mortar locations. Debit cards purchases are deducted directly from the customer’s bank account, making it easy for them to keep track of where and how they’re spending their money. Debit cards limit cardholders’ spending to the balance in their accounts, making it easier to stick to a budget. By accepting credit and debit cards, merchants are meeting their customers’ expectations to pay with plastic, which helps build a loyal following. Accepting plastic reduces the merchant’s expense and time spent billing and collecting, as well as trips to the bank to deposit cash and checks. 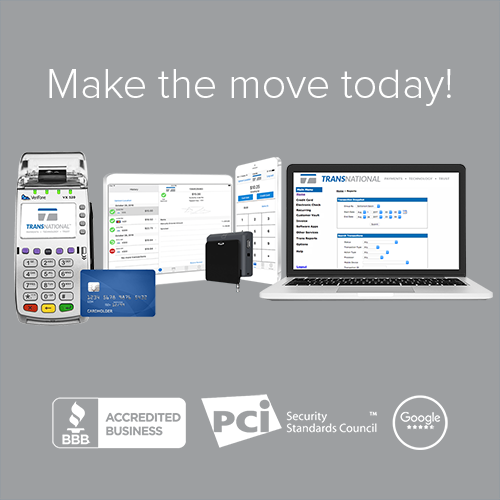 Debit and credit cards enable businesses to compete more effectively in the marketplace. Accepting payment cards can contribute to an improved cash flow, boosting the all-important bottom line. Contact our debit card payment specialists to discuss the various options available to you. There are three primary types of debit card processing. Below we explain the differences between PIN Debit, Signature Debit, PINless Debit and Online Debit. Used in a retail environment, consumers select debit at the point of sale and enter their PIN (Personal Identification Number). Can take place at a retail location or an online Web site. Transactions are routed through the credit card networks (e.g., Visa® and MasterCard®) but are paid using a consumer’s funds on deposit in their checking or savings account. No entry of a PIN is required for a signature debit transaction. As a result, there may be a heightened risk of fraud, and typically a higher interchange rate is charged to the merchant. A debit payment type used by certain Web-based merchants that have established some type of contractual relationship with the consumer and, therefore, know their identity. Wireless providers are the largest merchant category using online bill payment. Consumers may pay cell phone bills online using a PIN debit card, but without being required to enter a PIN. Since consumer identity is already known, interchange rates are generally lower than card-not-present signature debit. What Do I Need to Accept Debit Cards Online? To get started you need a virtual terminal that integrates with your payment gateway to let you accept not only debit cards but also credit cards and ACH payments online. It also integrates with a virtual shopping cart, giving your customers the option to either purchase an item immediately or store it for later. One of the greatest advantages of using a virtual terminal is that you can access it anyplace using a secure web browser. Can a Virtual Terminal Do Anything Else? Is Online Debit Card Processing Risky? No matter what types of payments you accept, there’s always going to be a risk: counterfeit cash, fake checks, credit and debit card fraud — the list goes on. The real question is how to defend against it. Over the years, the Payment Card Industry has developed effective security solutions to protect businesses from fraudulent transactions. Today, the two most prominent security standards are PCI and EMV, which your business should comply with to achieve maximum protection. How to Combat Online Debit Card Fraud? Scammers who engage in various types of e-commerce fraud often like to target online debit card payment process. A popular example of such fraud is card testing. It can be effectively spotted and prevented using right security features, but is likely to be very costly if such features are not in place. Adding CAPTCHA to your website, setting CVV, AVS and IP restrictions, and regularly monitoring your transactions are all necessary preventative measures. Enhancing your e-commerce with additional layers of security can also build trust with customers. Just like you seek to protect your business from illicit activities, they also care about preserving the integrity of their own funds. Investing in supplying them with additional reassurance can go a long way in cementing your reputation as a reliable merchant.